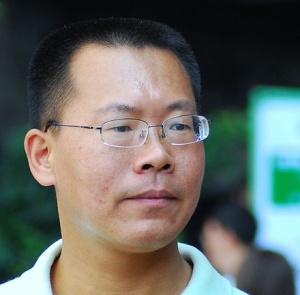 Teng Biao, born on August 2, 1973 in Jilin Province, is a human rights lawyer, activist, and former professor who is dedicated to exposing China’s human rights abuses and fighting against its use of the death penalty. After being repeatedly detained for his work, Teng moved to the U.S. in 2014, where he has continued his life’s work as a visiting scholar at institutions such as Princeton, Harvard, and New York University. Teng obtained his Doctor of Law from Beijing University in 2002 before joining the faculty of the China University of Political Science and Law as a lecturer. He later served as a visiting scholar at the Chinese University of Hong Kong and Yale University. He swiftly entered the fore of high-profile legal cases, including but certainly not limited to the Sun Zhigang incident in 2003, serving as counsel for activists Chen Guangchengand Hu Jia, and death penalty cases such as the Leping case in Jiangxi Province. Prior to moving to the U.S. in 2014, Teng was subject to multiple instances of police harassment. In 2008, he was detained for two days before being released following widespread calls from both domestic and foreign advocates; in 2010, he was detained for visiting a human rights lawyer under house arrest; in 2011, as those in China began to call for their own Jasmine Revolution, he was detained for ten weeks; in 2013, he was detained for attending Hu Jia’s birthday dinner. In 2014, Teng relocated to the U.S., where he has continued observing and criticizing Chinese government practices. These include presenting a sobering view on the true nature of Xi Jinping’s corruption crackdown, expressing concern for detained fellow rights lawyer Jiang Tianyong, and calling for President Obama to pressure China on human rights at his last G20 summit appearance. 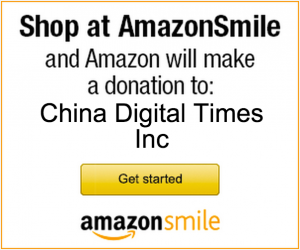 Teng again roused attention in 2016 when the American Bar Association abruptly cancelled publication of his book “Darkness Before Dawn,” a detailing of his 11-year career as a rights defender in China. The cancellation has been one of many cases of foreign entities who have either bowed to Chinese pressure for fear of upsetting the Chinese government or proactively curried favor for the sake of economic gain. Over the course of his career, Teng has spearheaded multiple initiatives. He has co-founded two NGOs: Beijing’s China Against the Death Penalty, and the Open Constitution Initiative (Gongmeng), an organization composed of lawyers and academics that advocates for the rule of law in China. From the U.S., Teng co-founded the China Human Rights Accountability Center alongside rights defenders such as Zhou Fengsuo and Chen Guangcheng following the passage of the Global Magnitsky Human Rights Accountability Act under the Obama Administration. The act authorized the president to sanction foreign individuals who commit human rights violations or are engaged in significant levels of corruption. The Center aims to help the U.S. to enforce the Act and introduce similar legislation in other democratic countries. Teng has been awarded the Human Rights Prize of the French Republic (2007), the NED Democracy Award (2008), Human Rights Watch Hellman/Hammett Grant (2010), Prize for Outstanding Democracy Activist (China Democracy Education Foundation, 2011), and the Religious Freedom and Rule of Law Defender Award (2012). 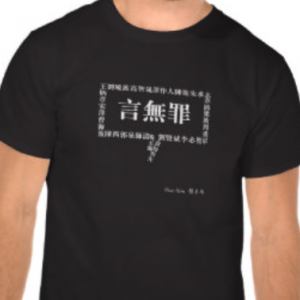 Follow Teng on Twitter, or read more from and about Teng Biao, via CDT.